As a paleoanthropologist, my research interests revolve around understanding patterns of land-use in prehistory. I am currently conducting archaeological surveys in Guadalajara (Spain) in an effort to uncover evidence of the Palaeolithic occupation of the Iberian Peninsula. As an archaeozoologist, I am particularly interested in modelling the spatial behaviour of prehistoric prey species as a means of interpreting past landscapes and the spatial distribution of Neanderthal sites. Several of my research projects are oriented towards gaining a better understanding of the ways in which behaviour is reflected in the skeletton, in order to better understand the morphology of fossil hominids. Behavioural innovations, such as bipedalism and the abandonnement of an arboreal niche, produce morphological changes. These transformations are the expression of adaptive pressures affecting hominids and therefore, enable us to recreate a vital dimension of their evolutionary history. I have been co-directing field research since the summer of 2006 with the aim of exploring a secondary rift in East Africa that is still poorly known paleontologically and geologically. Research interests: spatial analysis and modeling and geographic information systems (GIS) can provide insights and context into complex problems such as climate change, landscape ecology, and forestry by explicitly representing phenomena in their geographic context. My research focuses on the inherent multidisciplinary nature of Geographical Information Science (GIScience) to investigate the relationships between ecological processes and resulting spatial patterns. 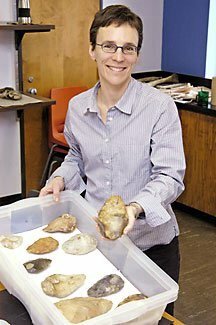 I am a prehistoric archaeologist interested in the human-environmental interface of major transitions in the human past, especially the Middle-Upper Paleolithic transition and the shift to agriculture; specifically, I focus on the impact humans have had on their environments at these key moments of our species history, as well as the impact of climatic factors on contingent patterns of human evolution. I investigate these questions through both fieldwork in northern Italy (Liguria) and Mozambique and various modeling experiments. Theoretically, I approach these questions from perspective rooted in niche construction theory and evolutionary ecology. Assistant Professor at the Department of Earth and Atmospheric Sciences in the University of Quebec in Montreal. My research focuses on understanding and estimating the role of aerosol particles on atmospheric circulation and ocean circulation and their feedbacks on aerosol distribution. Specifically I use global climate models and observational data to characterize variations in climate variability in the North Atlantic and tropical region associated to gradual (e.g., anthropogenic) or rapid (e.g.,volcanic eruptions) changes in aerosol burden. I also work on past climate dynamics with particular focus on the last deglaciation, interpreting the signal recorded in proxy records with the help of climate models. As a geomorphologist I study the interactions of the wind and sediment and their impact on the climate, specifically focusing on increasing our ability to predict wind erosion by focusing on small-scale variables that can change the threshold of sediment transport up to large-scale transport mechanisms that alter ecosystem functions. Although my focus is on arid and semi-arid environments such as previous and present research conducted in the Sonoran and Chihuahuan deserts of the USA, and the Kalahari and Skeleton Coast of southern Africa, I have also started to research high latitude regions impacted by wind erosion in the present and past in Canada. With an approach that combines field measurements with novel methodologies, remote sensing, and atmospheric reanalysis data with empirically-based models, my research attempts to identify and improve model parametrization of dust transport processes and their direct and indirect effects. Claude Hillaire-Marcel, professor emeritus for life at the Université du Québec in Montréal, is a member of the Royal Society of Canada (Academies of Sciences). GEOTOP is recognized by 8 university institutions in Quebec. His research, sanctioned by more than 300 publications and several scientific awards and distinctions, has begun to address various aspects of the climate-ocean system dynamic, through both geochronology and isotopic tracers of past and present peoples' conditions. Hillaire-Marcel provides the essential expertise for the geochemistry of isotopes of oxygen, carbon, nitrogen and strontium. Professor at the Université du Québec à Montréal (UQAM), Centre GEOTOP. Research interests: Le thème général de mes travaux de recherche s'articule autour des changements océanographiques, climatiques et environnementaux dans les milieux marins de moyennes à hautes latitudes à l'échelle des derniers milliers d'années. Professor, Department of Anthropology at McGill University. Research interests: evolution of social complexity, quantitative and computational methods on archaeology, agent-based simulation in anthropology, prehistoric exchange networks, prehistory of northern Europe. Associate researcher (CR1) at CNRS, UMR5199 - PACEA. Assistant Professor at University of Colorado, Colorado Springs. I am interested in reconstructing past foraging and mobility behavior, human-environment interactions, and the evolution of complex cognition through methods such as agent-based modeling and spatial analysis. As a part of the HDRG, I am developing models of human-human and human-environment interaction in Western Europe during the Last Glacial Maximum. Postdoctoral researcher at Monash University. Research interests: statistical climatology. Patrick James is a spatial ecologist with interest in forest disturbance dynamics, spatial modelling, and landscape genetics. Currently, his work focuses on developing landscape genetic and statistical modelling approaches to better understand the relationships among landscape heterogeneity, dispersal, and the population dynamics of irruptive forest insect pests. Archaeologist and Marie Curie Postdoctoral fellow. My current research, EmorphProject, is focused on reconstructing migratory patterns of Palaeolithic reindeer from South-Western France archaeological sites, based on ecomorphological principles linking habitat type and mobility to bone morphology and osteometry using modern samples. Through an actualistic approach, the aim is to provide a new framework to estimate reindeer migration during the Magdalenian period and assess its impact on hunting strategies, socio-economic decisions, mobility and potential technological choices of human groups. This project receives funding from the European Union’s Horizon 2020 Research and Innovation programme (GA 794925). I am interested in the climatic and environmental conditions of the first dispersions of anatomically modern humans in Western Europe. My research concerns the spatial organization of ancient human populations in relation to their landscapes. This PhD project aims to establish a dynamic model of the distribution of prehistoric populations and the large herbivores that constituted their main food source during the last Glacial in Western Europe. The objective is to study interactions (prey / predators) and their impact on the organization and mobility of human populations. My research interests are focused on the reconstruction of human subsistence behaviors during Middle and Upper Paleolithic periods. In my thesis I apply the ZooMS on the faunal collections excavated at Riparo Bombrini (Balzi Rossi), a site located in north-west Italy and spanning late archeological layers from the Middle-Upper Paleolithic transition. The ZooMS allows to identify fragmented animal bones by using diagnostic peptides from the dominant collagen protein contained in bones as a fingerprint of animal species. I am also experimenting with Fourier-transform infrared spectroscopy (FTIR) to detect the presence of collagen in bones and to study burned bones. My doctoral research addresses the impact of climatic variations on the last Neanderthal people settlement in Western Europe during the Last Glacial Period (marine isotopic stage 3). In this respect, this project proposes a complex and original approach, based on a large number of variables (geographic, paleoclimatic, and paleoenvironmental), with a great resolution in space (15 km by 15 km) and time (several years). In particular we will attempt to test for the presence of refuges area in Iberia, in Italy, in the Balkans or in Germany. 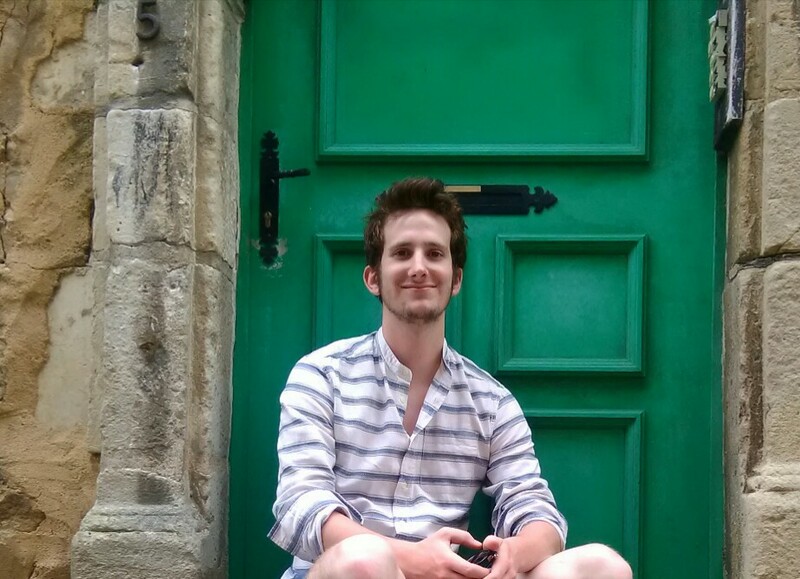 Marc is a PhD Candidate at the Institute of Environmental Sciences at the University of Geneva, Switzerland. His research involves spatial and temporal analyses of environmental phenomena, hydrology modelling as well as water resources management using geographical information systems. Marc aims to gain a better understanding of the complex interactions between the availability of natural resources and the needs of human populations and ecosystems. Researcher at the Centre for the Archaeology of Human Origins (CAHO), University of Southampton. Research interests: isotope analysis of faunal remains, archaeozoology. Title: The Technological and Morphometric Variability of Aurignacian Projectile Points Made of Antler, Bone and Ivory : Cognitive, social, and environmental implications.